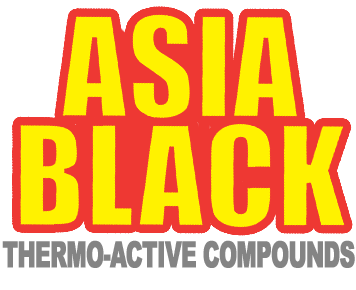 These are the words you may use to describe Asia Black with Ephedra. 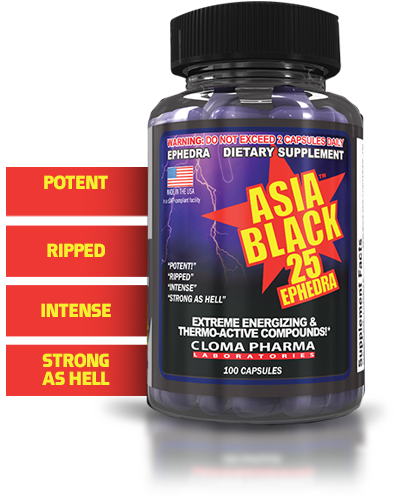 Cloma Pharma scientists engineered this nutraceutical masterpiece to ignite the ultimate energy and fat-burning inferno inside you. Believe them when they tell you NOT to take more than 2 servings daily! ** Daily Value (DV) not established. Each serving contains ~250mg caffeine. SUGGESTED USE: As a dietary supplement, take 1 serving daily with breakfast, and 1 serving with lunch. Do not exceed 2 servings daily. Do not take within 6 hours of bedtime.